Sarah Jane Fergusson is the Redress Design Award 2018 Special Prize with Cara G Winner. She holds a degree in Bespoke Tailoring from the London College of Fashion. Currently based in Tokyo, Japan, she is building her own brand and is working to create sustainable collections that can compete within today's fashion industry. 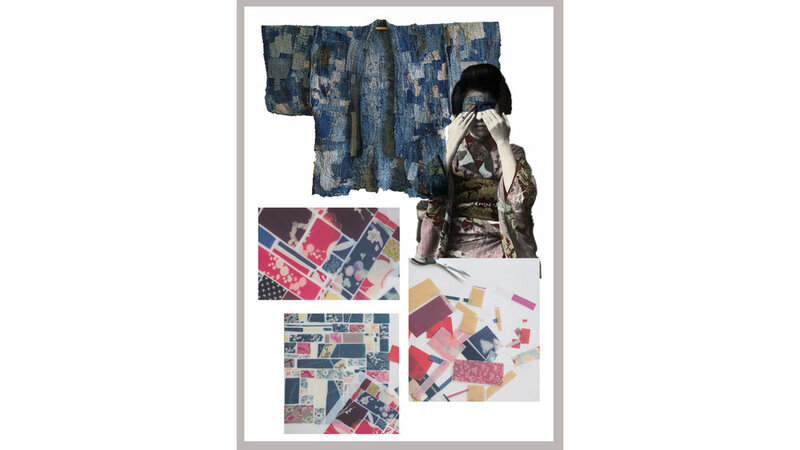 For her Redress Design Award submission, Sarah Jane applies the design technique of reconstruction to vintage silk kimonos sourced from flea markets in Kyoto, transforming them into modern silhouettes. Her collection is inspired by the Japanese concept of ‘Mottainai’ which roughly translates as ‘too good to waste’.